A fortnightly podcast that explains things in the news to help you appear smarter, to an audience that knows no less ;-). Basically, we take topics and attempt to deconstruct them - using generous pilfering from Wikipedia, a bit of humour (that's a flexible usage of the word), Wodehouse quotes and more. Occasionally, we invite guests who know better than us (not a high bar) to discuss fun careers and stuff. 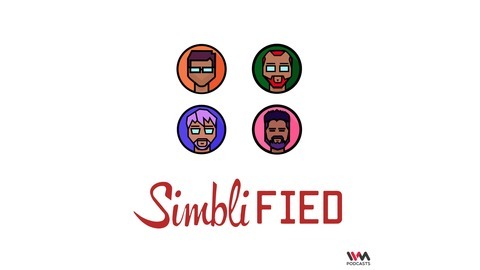 Hosted by three pun-loving madcaps who think Malad is the best thing since Android: Chuck, Naren and Srikeit. .
Ep. 130: Make fransip with Orkut again! Remember Orkut? Well, of course you do - but mostly as a joke. The truth is, a lot of Indians' experience with social media is actually incomplete without Orkut. One such Indian is Shri N. Shenoy, who - shock, horror, has never been on said platform. So Chuck and IVM Podcasts producer Abbas Momin (filling in for an absconding Srikeit) try to tell him what he's been missing out on. If you liked this shortie, write us a testimonial. 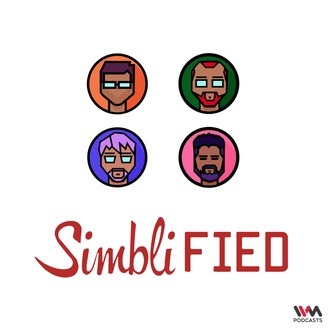 NEW TO SIMBLIFIED? It's an Indian podcast - probably the best to come from Malad West - that takes things that happen around us, and deconstructs them in a language you can understand, often surmounting several puns and PG Wodehouse references along the way. We aim to make you appear smarter during parties, job interviews, and dates. Your hosts (and Twitter / Instagram handles) are Chuck (@chuck_gopal / @chuckofalltrades), Srikeit (@srikeit, @srikeit) and Naren (@shenoyn, @shenoynv). We are part of the IVM Podcast network, who, till this day, wonder why they signed us on.